The Pad Presents is gearing up for a busy weekend of music with hip-hop legend KRS-One, The Selecter and The Beat all heading to the region. Widely regarded as one of the most influential rappers and MCs, KRS-One rose to prominence in the mid-1980s as part of the group Boogie Down Productions with DJ Scott La Rock. While La Rock was killed following the release of their debut, KRS-One continued as a solo artist. 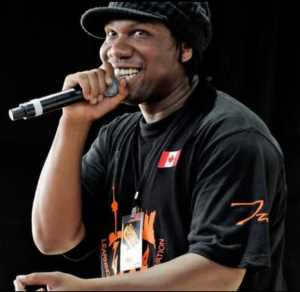 With more than 20 albums to his name and his numerous appearances with other artists, KRS-One has also lectured at more than 500 universities across America and published three books. He also established the Stop The Violence Movement and established the Temple of Hip Hop for the spiritual exploration of the genre’s culture. This year, he released his latest album, The World Is Mind. He headlines Esquires in Bedford on September 29. Support is by Skinnyman, Trauma 74 and DJ Mass. Doors open at 7.30pm and tickets are £22. The following night, The Selecter & The Beat feat Ranking Roger bring their co-headline tour to the Bedford Corn Exchange. The Selecter is led by Pauline Black and Arthur Hendrickson. Their new album Daylight is out next month. The Beat, fronted by Ranking Roger, released their fourth album Bounce last year. From Birmingham and Coventry respectively, both acts were at the forefront of the ska and 2 Tone movement of the late 1970s. Doors at 7.30pm. Tickets £27.50.